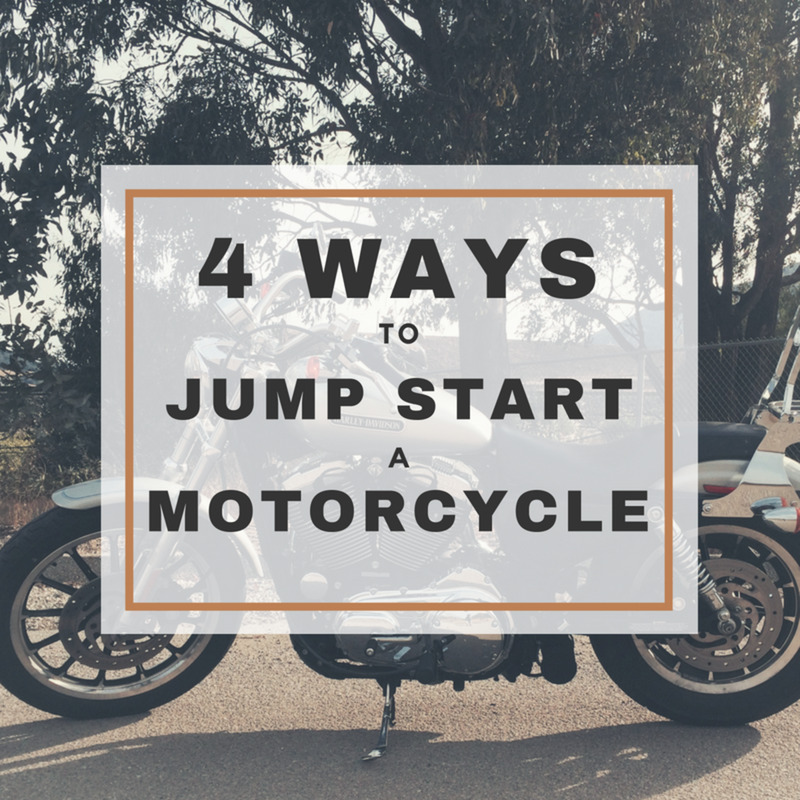 Q: Why should I buy a salvage motorcycle? A: The price, the challenge, and the satisfaction! How Else Can You Afford a $15,000 Motorcycle? 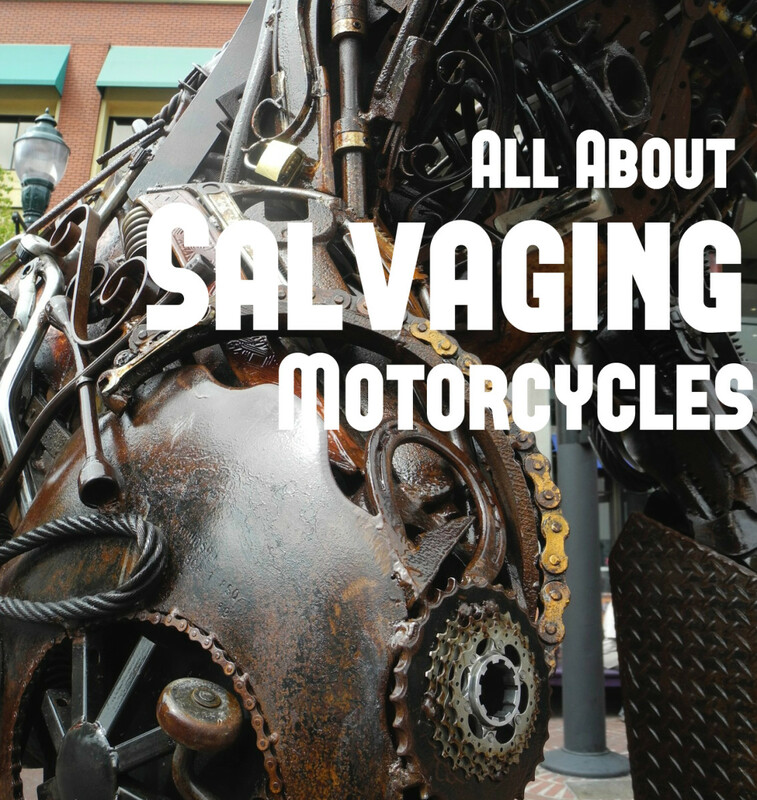 The first great incentive for buying a salvage (damaged) motorcycle is the cost savings. You can easily save thousands of dollars by fixing the bike. The parts will cost so much less than buying a new or undamaged bike. Do you plan to register and ride the bike in your state? This is a simple question, but a very important one. Some people simply want to fix the bike and run it on a racetrack, which is great, since you don't need to worry about titling and registering the bike for track use. But should you want to register and ride the bike legally, you must find out your state's qualifications and rules for salvage. 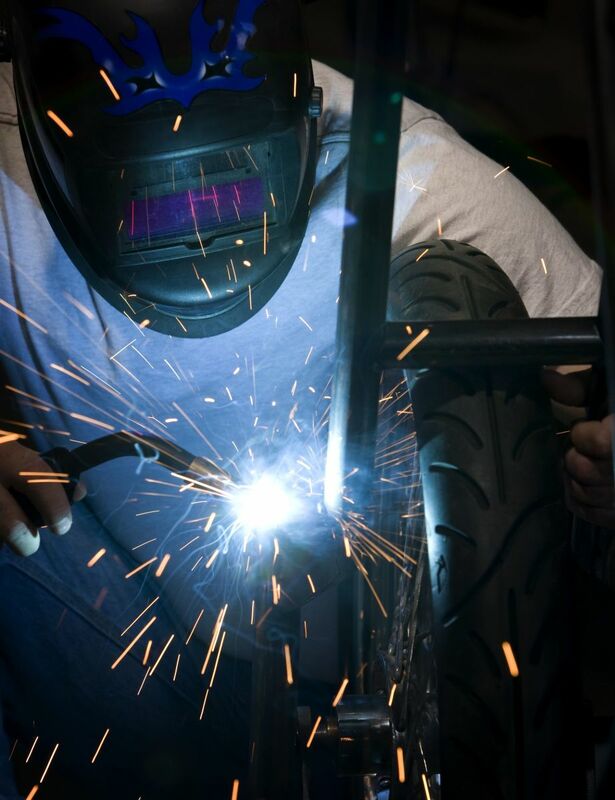 Most states require a bike to pass a safety inspection to qualify as rebuilt. To pass a salvage inspection, you must have a state-issued title and a damage appraisal, as well as any receipts and documentation of what was fixed. Your paperwork is key. Please learn from my mistake. I spent over $11,000 on a 2005 MV Agusta, which, if you do your homework, you'll see is a $30,000 bike. The title came back as a VA non-repairable. OUCH! After fixing the bike, I had $11,000 worth of parts, because I couldn't ride it on the road: No state will issue a rebuilt title for a bike that another state has previously declared non-repairable. So make sure the paperwork is in order. all receipts and documentation of what was fixed. #2 Where Do Salvage Bikes Come From? Most states issue a title stamped "salvage." 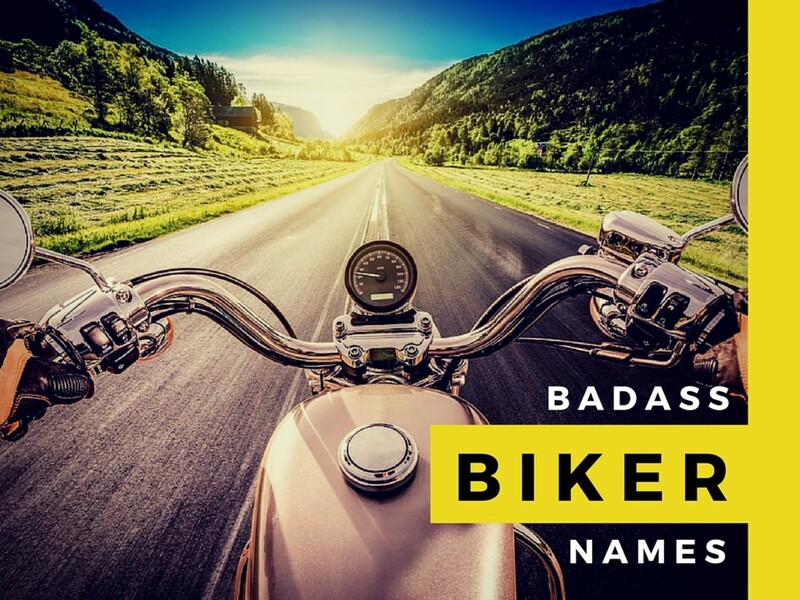 Typically, this happens when an insurance company deems the bike a total loss, issues a damage payment, has the title drawn up in their name, and sells the bike through an auction. This is where scrap dealers, salvage bike dealers, and rebuilding shops go to bid on the bikes. #3 Should I Buy a Salvage Bike If I Don't Know How to Fix It? Sure, all it takes is a little time to research where to get parts and hire someone to do the repairs for you. Depending on your skill level, you should look for a bike with the least amount of damage. A few scratches on the fairings or a broken clip-on, for example, will just require some time to buy replacement parts. With so many sites like eBay and Craiglist around today, parts are easy to come by, and usually very cheap compared to buying them new from a dealer. #4 How Can I Avoid Getting Ripped off Buying Salvage? Know the value of the bike you're interested in (in an undamaged state) and work from there. Do a thorough estimate of the cost of parts and time before you buy: If it's going to cost you more than it would cost to buy a clean bike, then forget it. Most importantly, shop around. There are many dealers out there, and most bikes are a dime a dozen, so don't jump at the first one you see. Take your time and shop wisely. Honda, Suzuki, Yamaha, and Kawasaki bikes are always around, and parts are easy to find. Don't buy a rare or custom bike if the parts are not easy to come by, as in the case of my brother who damaged a custom fairing to a 2002 Ducati 998s Ben Bostrom replica. The carbon fiber fairing was on back order from the dealer for two years and cost over $1000. Just so you know, I am an accountant and have no mechanical ability whatsoever. I bought a 1998 Honda CBR 600 Smokin Joe edition motorcycle, with a salvage title, from the state of PA. The bike cost me $2800 at an auction. I had to ship it for $400, and after inspecting it, realized there was a crack in the mid fairing (with shipping, the part cost a total of $40 through eBay). After changing some plugs (which cost $8) and having the bike inspected in the state of NH ($50), a rebuilt title was issued. So for the total cost of $3,298, I had a rebuilt '98 Smokin Joe bike that ran great. I was only able to put on about 500 miles before winter set in, and when springtime rolled around, someone offered to buy my bike for $3800, so I took it. Would you consider buying salvage? No way. Too much work! I've done it before, and I might do it again. I wouldn't buy a bike any other way! My question is can use the parts of a non repairable motorcycle to fix another motorcycle and can it be registered ? Great article. I am looking for a bike and this article helps. Thank you to the hot motorcycle mom! I purchased 08 kaw ex650 last year from iaai.com through broker www.bidndrive.com. It had minor damage. We just changed mirrow, clowling. Everyone on this forum should think about what type of question hey are asking to see ifitmakes sense. I've been rebuilding salvage title vehicles for years and while there is money in it, most work must be done yourselfto retain profits. 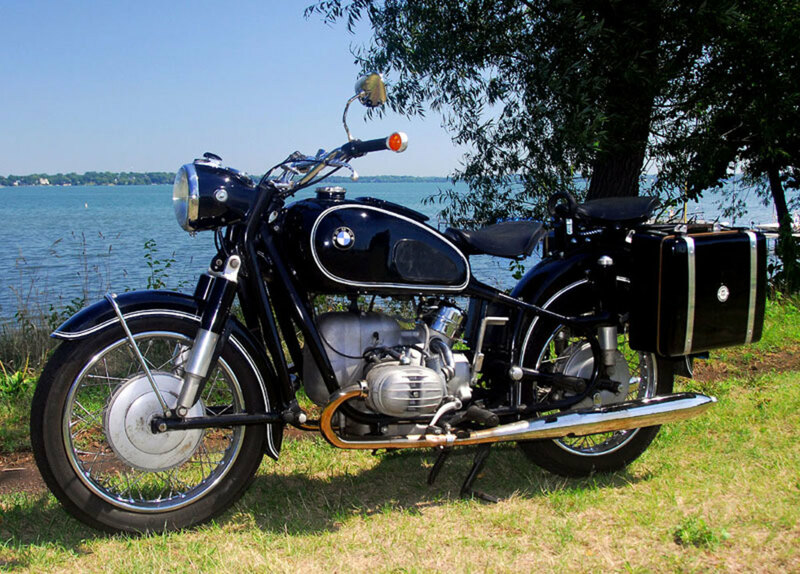 Salvage title simply means that in this case, a bike will end up costing more to fix than it would be to replace with an exact copy none wrecked bike. According to insurance companies who are pricing based on new parts costs. Checking value of the vehicle is one thing but knowing what your parts will cost or having a hookup on pricing is what creates the ability to save money. Second is that the title issue is easy to understand. If it has a salvage title it gets tranferred the same way as a standard title plus safety inspections. If there is no title to a vehicle, states have a lien sale packet that will enable you to gain legal ownership, this is how a mechanic or tow yard can sell your car if you fail to pay or pick it up within set times. Lots of people have made mistake of buying into this option of salvage vehicles and have lost money. Without the base of acess to sub market priced parts, it is a general waste of money and time. Good luck though. I am in Massachusetts. bought an 03 600rr off a guy who bought it from someone else. It has a salvage rebuildable title that I have plus the insurance appraisal. I heard legally you cannot private sale a salvage vehicle in this state. Is this true? Am I screwed because he signed it over to me? ... that a good price. You may be able to use it to attain a custom made or homemade vehicle com and title. With the vin etched off, sounds like a stolen bike. Absolutely! Salvage from another state is perfectly legit. Do be sure to have all insurance reports, making it easier to attain a rebuilt, and always check state requirements. Call your state dmv for rebuilt inspections, and guidelines. Did your friend give you the insurance adjuster report, you'll need it, and all documents of repair. Good luck. Look up a value at nadaguides.com for the bike. There are many styles. Do some research for the repair costs, the mileage doesn't scare me, but repair costs can really mount up. You are so right Nelson! I'd start with craiglist, and definitely Ebay, we sold bike parts all over the world. Good luck. Damaged motorcycles can also make cash for you. 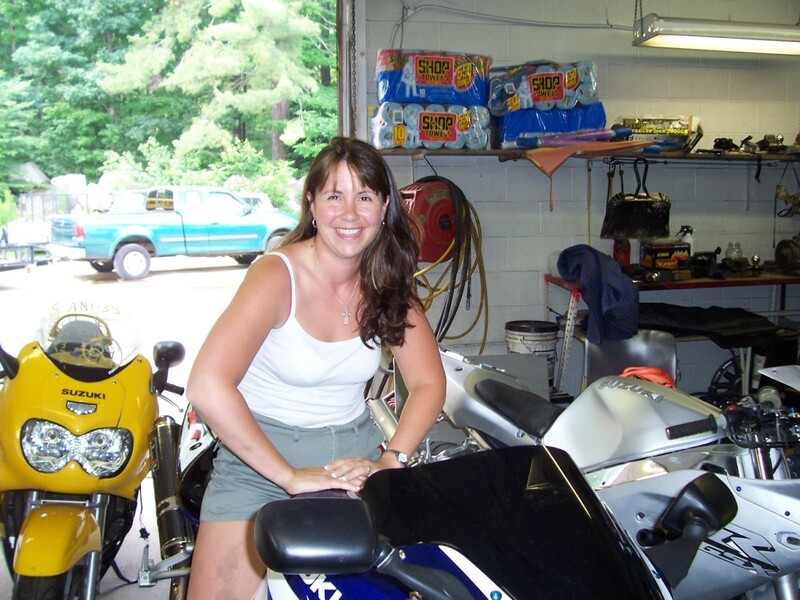 Instead of keeping your damaged motorcycle in your garage, you should sill it for cash. 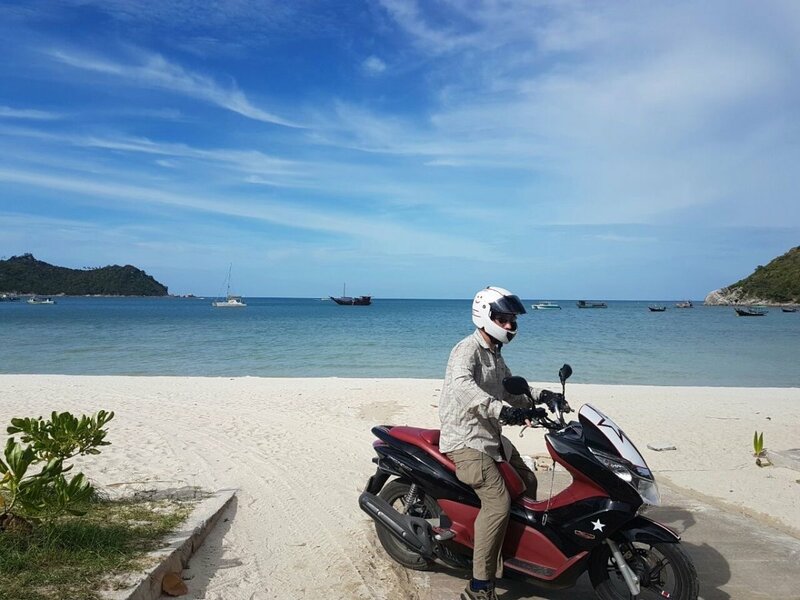 By reading your article I am satisfied about what to do with damaged motorcycle. hi new around here hi to all members???????? Very good article. I am considering purchasing a salvage motorcycle. 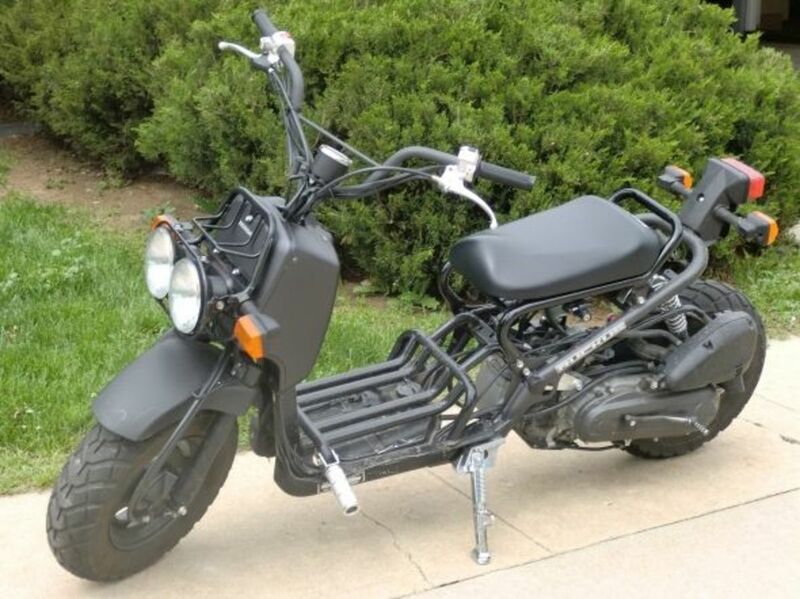 I know plenty of places to get one but I live in Va and was curious on wether you could title a bike that has an out of state salvage title. If I get it inspected and it passes do i get a rebuilt title making it legal to ride? Hi i bought a gsxr 600 track bike from a guy and it has no vin number on it. Does anyone have any ideas on how i can get a title for it to make it street legal. I would like to know where I can find the state qualifications for salvaged motorcycles in my state and also where I can take the cycle to be inspected. I have worked as a mechanic for a motorcycle company years ago and would like to open up my own shop and rebuild bikes for resale. I am also looking at rebuilding bikes with the kids in my communities as an after school project to get the kids off the streets and give them something to do that is better for them. If you can help please email me at deanreiners313@yahoo.com. I do not come on this site very often and I do not want to miss anything that could help me with bettering me and the kids in my town. Thanks for any help that you can give me. Kristian, I don't know what part of Florida you live in. We do have a statute in Florida that provides a procedure to obtain a title to a vehicle that you're in possession of...generally it's used if you have an abandoned vehicle on your land and can't dispose of it because you have no title...however...it's being used to cover other situations. In pinellas county there is something like a 150.00 fee to file the paperwork, you have to prove you attempted to contact the last known owner by certified mail, you have to take it to the sheriff for an NCIC check to be sure it isn't stolen and one or two other requirements. If the procedure is successful the court signs an order granting you a title. 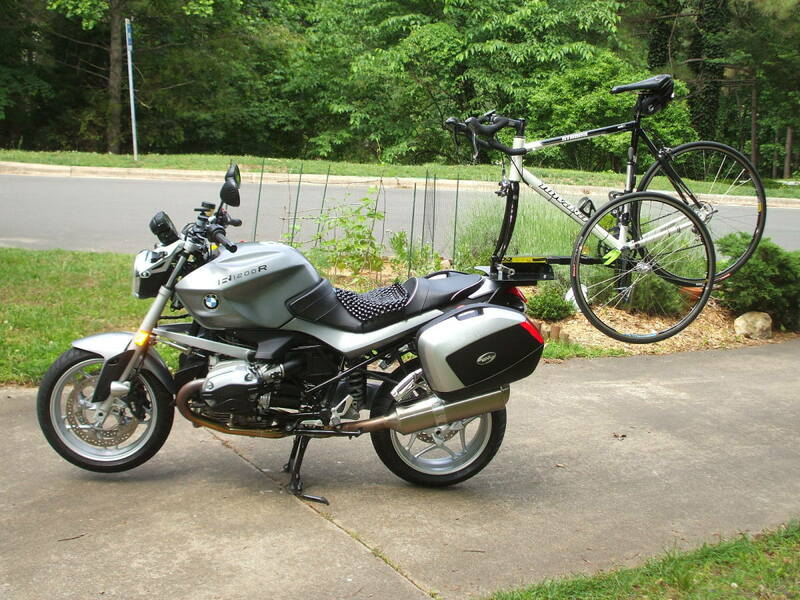 The value of the bike must be under 15000.00 which is the limit for a case in county court. When you register the bike you'll be required to pay sales tax on the stated (you state it) value of the bike so be sure you get a true value so you don't end up screwing yourself paying more taxes than the bike is worth. As far as I know there is no safety inspection required with this procedure and I don't know if your title being stamped rebuild or parts only has any bearing...that may be up to which judge handles your case. Salvage yards down here have been using this procedure for years. If you don't live in Pinellas County it's my understanding you cannot file it in Pinellas County because of subject matter jurisdiction requirements but you may be able to find a lawyer in your area to help you file it in your circuit. Only other idea I can come up with would be a storage lien but I'm not sure how that might work in your situation you'd have to get with someone familiar with that process to advise you which is best in your situation. Hello, interested in buying a GSXR 600. Ran an insurance report (background) on the bike and found it was involved with a deer and insurance paid $5600 to fix. I believe they would have totalled the bike. I told this to the current owner who had no idea of its history. Is it possible to get a clear title in this situation. Accident/bike was in Tennessee, ended up in Missouri then Arkansas with a clear title. I would also envision the value would be diminished. Any guage on how much % decrease as the current owner is bike savvy and works for a motorcycle shop, and states you would never know. Hi Dan, Yes it is legal to buy a bike with a bill of sale listed as "Parts Only" BUT... Yes there is a but. You will not be able to register this bike for the road. You can certainly use the parts to reconstruct/rebuild a bike,and can then apply for a State Vin number and Title. The bike will then be listed as a Custom Homemade. "Parts Only" is sometimes a way for an insurance company to bypass having to get a title issued as "Salvage non-rebuildable", or "Salvage Rebuildable, which if any paperwork is lost, or the loss payee is deceased, they are able to sell the bike immediately without having to wait for the title process. I have a question.. Is it legal to buy a bike that doesn't have a title only a bill of sale from an insurance auction. Just call it a parts bike? Marcus, I do not know for sure, but pretty sure that the guy who sold you the bike had NO legal way to sell you the bike. It sounds like it was owned by the bank and not him. I think you have atleast 2 choices,... go to the bank and see if they can sign it over, or apply for a bonded title and hold on to it for atleast 3 years and it could be turned into a normal title.I think each state is different though.My state is something like that. ANd Marcus, NEVER BUY A BIKE WITHOUT A TITLE.... if you really want to keep the bike. If the bike doesn't have a title, it is JUST SHADY. Is a great deal a great deal if the cops pull you over and confiscate the bike because it is stolen even though you paid for it? The legit way is ALWAYS BEST. I'm trying to get a rebuilt title for a salvage bike i fixed in PA. Some enhanced inspection stations say it must be 100% oem and others say it just has to pass safety..anyone know the truth. Don't wanna bother getting a truck and taking a day off to fail. Looking for a dealer or junkyard that'll do the paperwork and get me a salvage title for a bike I have possession of. The dealer I used to use stopped after salvaging a '65 mustang for me and no longer does cars or bikes. I'm located about half-way between Philly and Allentown. HI motorcycle mom. I know someone who owns a 04 r6. He bought the bike from the original owner while the bike was still being paid for. The original owner couldn't make the payments and later filed for bankruptsy. The bike was somewhat damaged but nothing big. Just minor flaws. As a result, the bank wrote it off and took the original title. 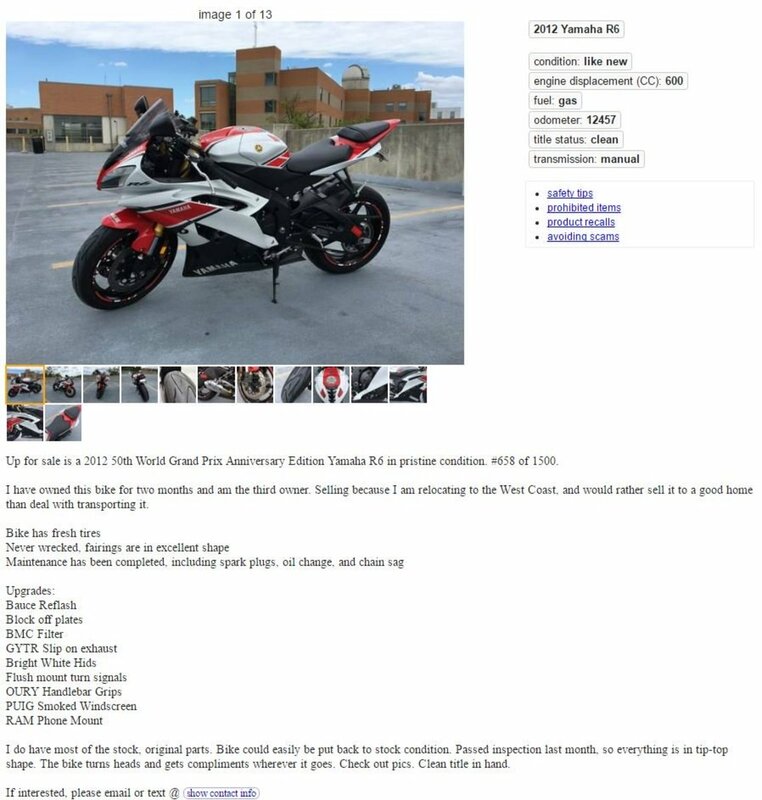 So the guy who's selling the bike now, has no title for it and everything is fixed. How can I go about getting a rebuilt or replacement title without the original? Can you help me decide what the best route would be? i'm looking at a 2001 CBR 600 F4i on craigslist.. the seller states the bike is salvaged due to theft.. i'm asking if the bike has been inspected by a professional since it's recovery.. please advise. Also, in general: if i do choose to buy a salvaged bike, should i make sure it already has a rebuilt title?.. will that save me from getting it inspected before registering and insuring it? also, how does a salvage title affect registration and insurance costs?? Thanks! The best place to look for replacement parts is EBAY... or Craigslist. Hi, I bought a salvaged 2006 kawasaki ninja 250 and I can't seem to find any replacement front fairings and was wondering if you know were to look. If you have any info it would be greatly appreciated! Hey Motorcycle Mom, I like your style...and a big fan of supersport motorcycles so you make a lot of sense. Just so you know where I'm coming from, I ride a 2001 Suzuki GSXR-1000. If you like, I'll shoot you a pic and we'll exchange ideas, and knowledge...thanks for sharing!